Here at K.I.T.G. 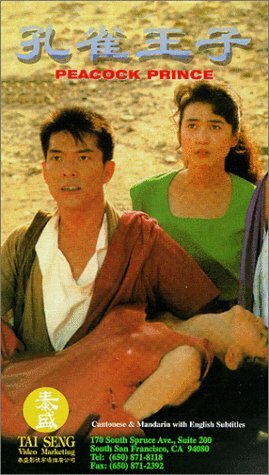 We are big Yuen Biao fans , and keep meaning to cover more of his films , Now I had not seen this film and had been putting it of, you see I had seen the sequel some years ago (Pheonix Saga0 and thought it pretty disjointed and generally not very good. Now with the chance to see the original on rental , I jumped at the chance to see if this was any better. Lucky I can report that this is a much better film ,but don't jump your guns yet ,you better read on. The story which is based on Japanese folklore sees how the Peacock King will rise to fight the King of Hell. Son what do you do when your film is set in Hong Kong and produced by Hong Kong producers and based on a Japanese legend. Simple ! 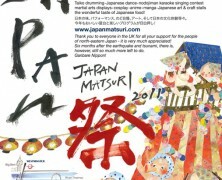 You have the combination of two disciples which will combine to become the Peacock King, One Japanese and One Chinese. That way you keep your target audiences happy. 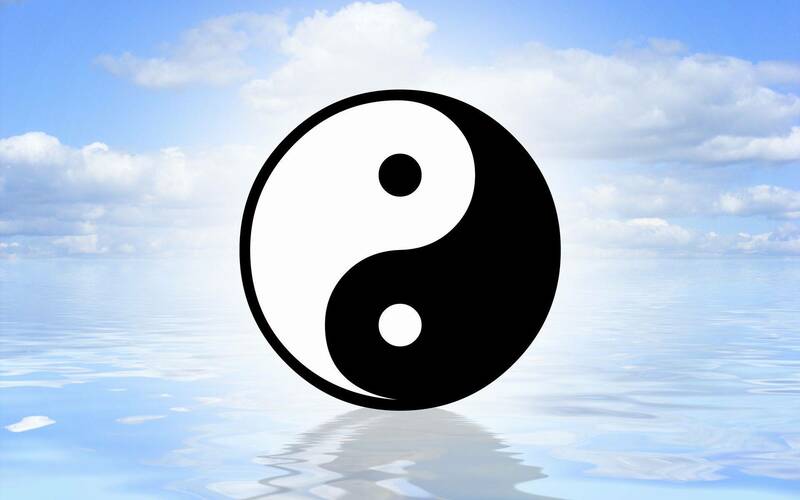 So you have twins separated at birth ,who are now disciples in two Monasteries ( One under a Japanese Master and one under a Chinese master ) , Yuen Biao plays our Chinese Hero and Hiroshi Mikami our Japanese Hero. The film starts with the King Of Hell stirring up a fuss and taking a Young girl as a slave in the process. Our two heroes are instructed to go to the mainland to find out what's going on . Now as with many films of the 80's from Hong Kong story was the last thing they worried about ,but usually you get satisfied by the realistic fight action that often takes place in these films. The problem with Peacock King is that the beginning of the film drags a a bit and focuses on the fish out of water scenario where the two monks get into trouble that stems to slapstick, (by now many viewers may have given up ) ,but for me something kept me watching. It takes a while but when the story comes together and the two monks know there quest to the full the film starts to surprise in more ways then you may expect. Now the special effects may not be super high quality with use of models and stop motion and a vivid use of light effects put across the surface of the film as the evil Hell King runs rampant and our two heroes jump about using magic to fight him ,or is it her (the king of hell is a woman here). The ever reliable Gordon Liu makes a appearance as a renegade monk who actually ends up with the best fight scene in the film alongside Yuen Biao. But even as you watch Peacock King you will find (if your a avid action film or game fan) that there's quite a lot of ideas here that have cropped up in many later films like The Resident Evil series,Bulletproof Monk and more. It may not be as vast and Lovely to look at as say ''Tsui Hark's Zu Warriors '' (which also starred Yuen Biao) but you can see where the makers where coming from. You know the end result of these type of films ,our heroes will confront the King of Hell and save the girl but don't expect to much hard action amongst the special effects and magic. Now the Hong Kong Legends disc I watched was a fine disc with all the usual features ,multiple soundtracks and subtitles . The print was not bad they seemed to have done a good job ,but maybe not up to Eastern Condors or any of the Jackie films. But this is probably down to the intial print of the film . 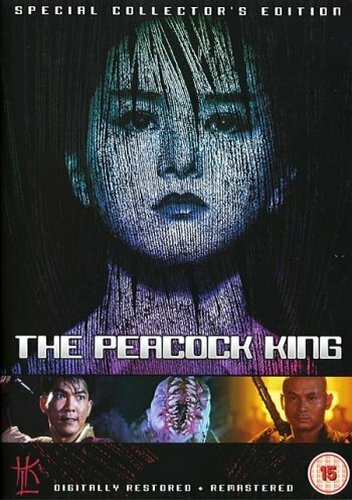 Peacock King was a hit in Japan but not so in it's home territories and until the release of the HKL disc it was not available in the West other then a bootleg or importing at high cost or even scouring the Chinatown stores for VCD prints which where readily available in many Chinese communities.